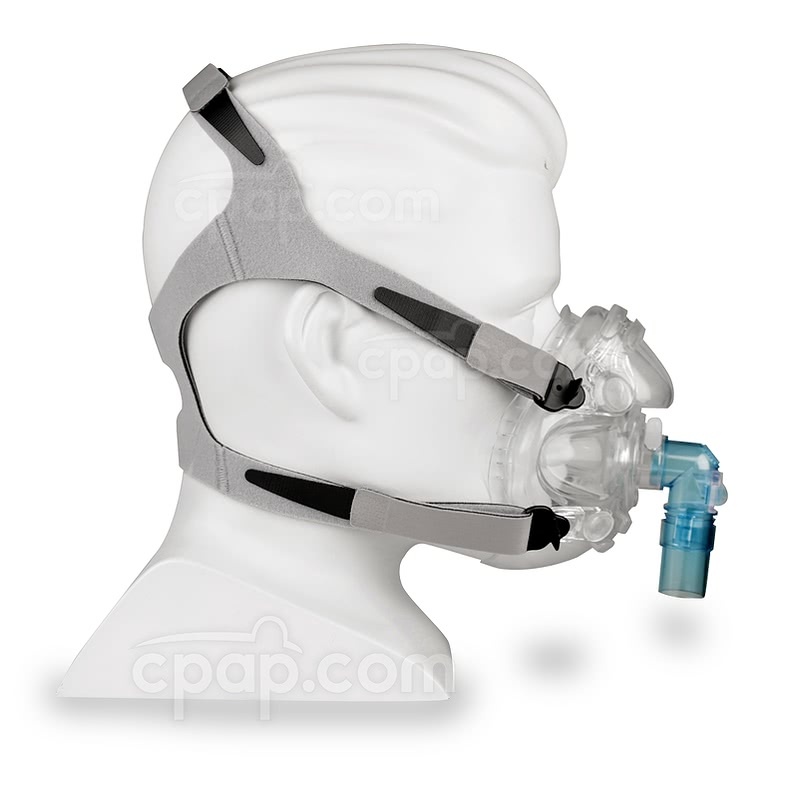 The Quest Full Face CPAP Mask with Headgear from Hans Rudolph is designed to provide comfort. The combination of soft silicone and the elimination of a forehead support closely resemble the qualities of the Hans Rudolph 7600 V2 mask. The Quest Full Face Mask by Hans Rudolph uses flexible material to create a seal without use of a forehead support. 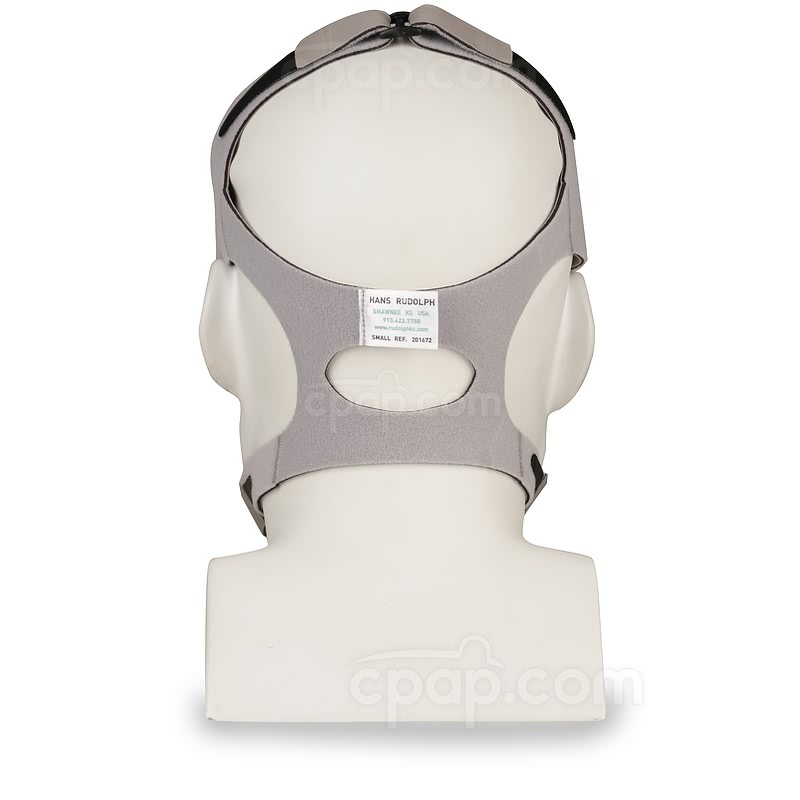 The unique design includes a built-in chin cup to support the mask position during movement. This is a full face mask and seals around both the nose and mouth. By eliminating the forehead support this full face mask offers an open line of sight with a lighter overall weight. Whether watching TV or reading before bed, the open view helps the user enjoy bedtime rituals without interference. The lack of forehead support adds to the open feeling of the mask. To enhance the seal of the mask, the contoured shape was developed to mimic facial structures. The ribbed design of the cushion is intended to allow movement during sleep without disrupting the seal. In addition, a unique built-in chin cup adds support to the mask seal. The seal of the Quest Full Face Mask follows the bridge of the nose to the bottom of the chin. Select the desired size at the time of purchase. The 360 degree swivel elbow port compliment movement during sleep. The micro vents located on the swivel elbow release exhaled air. If needed, supplemental oxygen can be added using the oxygen port positioned on the elbow. Assembly and dis-assembly of the four point headgear is easy. Quick release clips connect to the mask near the nose and mouth. The Velcro straps can be adjusted by lifting the black tab to increase or decrease tension. The headgear included with the mask at the time of purchase is based on the size of the mask selected. The small headgear is packaged with the petite and extra-small masks. 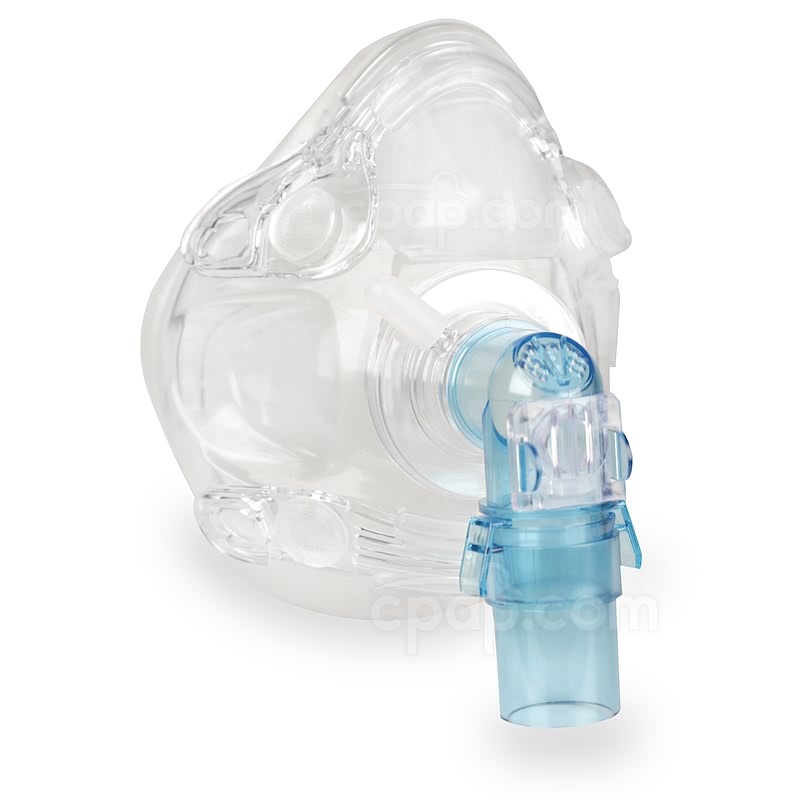 The medium headgear is packaged with the small and medium masks. The large headgear is packaged with the large mask. Cleaning Instructions: The 6860 Quest cannot be sterilized using autoclave or chemicals. A Hans Rudolph size Petite mask most closely resembles a size Small in other full face masks. A Hans Rudolph size Extra Small mask most closely resembles a size Medium in other full face masks. A Hans Rudolph size Small mask most closely resembles a size Large in other full face masks. A Hans Rudolph size Medium mask most closely resembles a size Extra Large in other full face masks. A Hans Rudolph size Large mask is larger than most masks and does not resemble a size in other full face masks. Please use the Mask Sizing Guide to ensure the correct size is ordered to provide the best fit. Hand wash the mask and headgear components in mild shampoo or baby shampoo along with warm water for approximately five minutes. 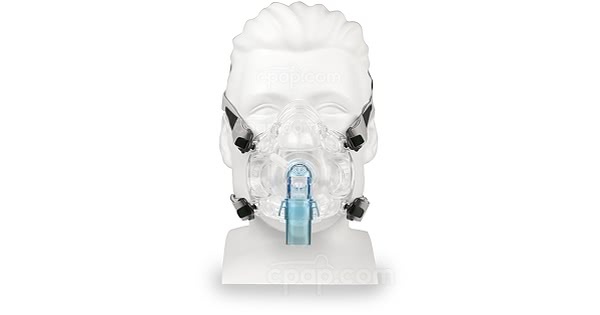 The mask CANNOT be sterilized using autoclave. After receiving a gentle scrub with a soft brush, continue to immerse the pieces of the mask and the headgear in warm water. Rinse away all soap residue with a splash of clean tap water, and lay out each component to air dry. It is best to clean the mask each morning to maintain an optimal seal. Important: The Quest Full Face Mask CANNOT be sterilized using Autoclave or chemicals. Proper cleansing will help to prevent skin irritation and allergic reactions. If the mask is no longer able to be cleaned, it needs to be discarded. The Anti-Asphyxia Valve (AAV) is an important detail in mask safety. Do not use the mask if the AAV is missing or damaged. If the device becomes defective during use, the AAV allows the user to access the air in the room. 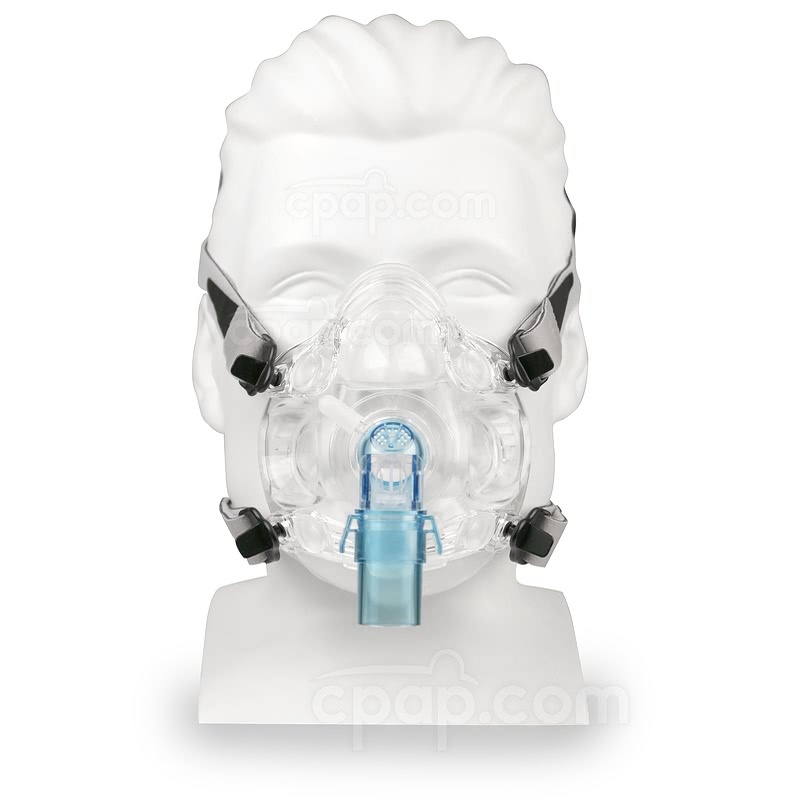 The valve will open as soon as the pressure in the mask reaches 3 cmH2O. The Quest Full Face Mask is intended for sleep therapy use only. If a properly cleaned Quest Full Face Mask causes skin irritation or allergic reactions, stop using the mask. 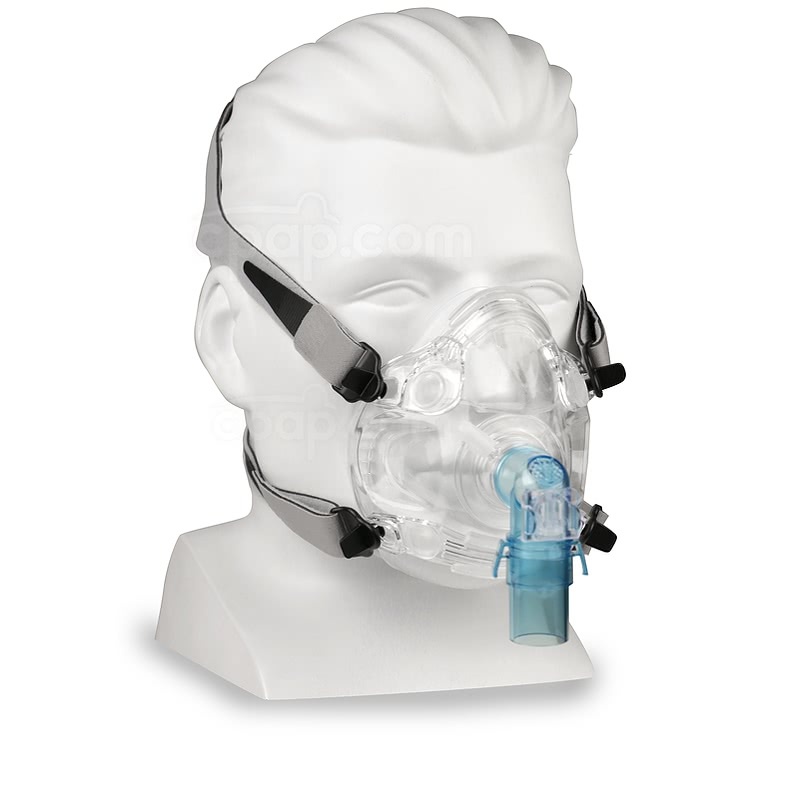 The Quest full face cushion is built into the frame of the mask, and the two cannot be separated. This design does not offer a replacement cushion or frame. The chin needs to fit into the chin cavity of the mask. The top of the mask should meet at the bridge of the nose. Place the mask in the facial contours around both the nose and mouth for an optimal seal. Adjust the 4 strap headgear for a secure fit. Disconnect one strap from the clip in order to slide the headgear over the user's head. Once the headgear is in place, hook the hanging Velcro clip to the corresponding strap. The two bottom straps needs to lay below the ears. The two top straps need to lay above the ears and below the eyes. To adjust the headgear, disconnect one Velcro tab located on top of the user's head. Then, pull the tab in the opposite direction, which will release or add tension to determine the appropriate size. To create balance, adjust the other side if needed. Facial hair can cause air leaks from the mask. On the front of the swivel port, eject the clear colored Anti-Asphyxia Valve from the elbow by pinching the translucent blue tabs. Squeeze and lift the rubber cap from the sampling port. The AAV will click into place when it is secured between the blue tabs on the front of the swivel elbow. Place the rubber cap on the sampling port of the mask adapter. Use the quick-release clips to attach the four point headgear to the mask.